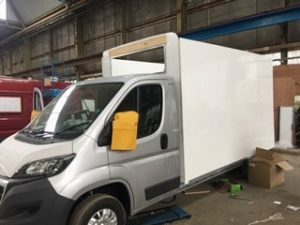 These are photos of the PAMIS Scottish Mobiloo being built at Moto-Trek in Huddersfield. The first Scottish Mobiloo. 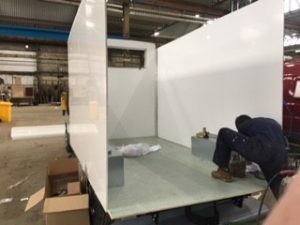 We are hoping it will be ready and up in Scotland at Guthrie Castle for the PAMIS Conference in June – Promoting Inclusion – Transforming lives, www.pitl.org.uk. From then on it will be available for hire. Edinburgh Fringe have already booked it for the whole of their festival. It is all very exciting. Lots of work and logistics to sort out yet – so the pressure is on. If you are interested in hiring the Mobiloo – get in touch.